After reading many blogs and itineraries for Egypt it was clear that our trip would not be complete without a cruise on the Nile. The most recommended re-seller of these types of cruises is viator.com – the 5 day/4 night one from Luxor to Aswan. In reality it is 4 days/4 nights. 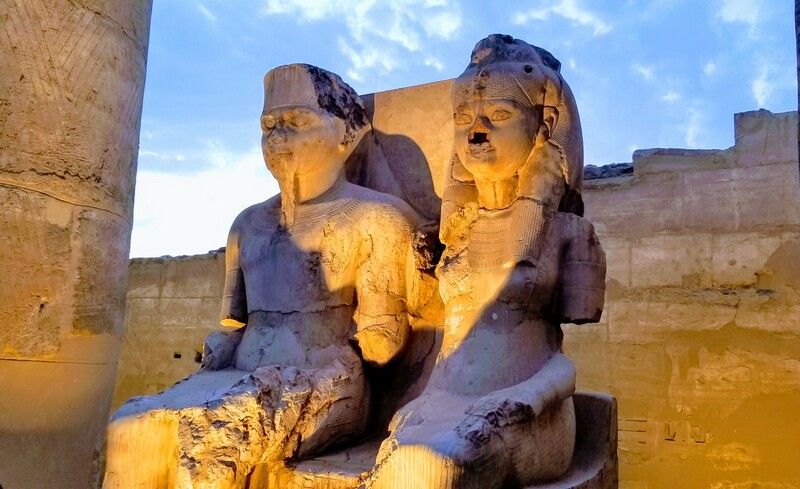 Naively I thought of a small felluca boat taking us from Luxor to Aswan – was I ever wrong! The train arrived on time and the lovely steward for our train car greeted us and escorted us to our tiny but efficient cabin. The cabin had 2 births for sleeping – the top one was lowered and affixed with some tools after dinner was served. As a vegan, I was seriously surprised by my dinner – I had envisioned inedible food, yet it was quite tasty. (The only option was vegetarian and thankfully the steamed vegetables and rice did not contain any butter). Rob had chicken which he quite enjoyed as well. We slept on and off until the steward woke us up around 5:30 am as we were nearing Luxor. After some confusion finding the Viator pick up person, we were on our way to our boat (2 minute drive from the train station). Our ship – the Mirage I (which was much larger than I had envisioned) was lined up along the Nile with many other boats – we had to walk through another ship to get to ours. The boat was quite dated, but it was clean. The staff were very welcoming and the food, which was served for an hour at very strange hours 3 times a day, was fresh and truly fantastic. Our cabin was a nice size and had a huge window (which at times was blocked by other boats). We didn’t fuss about any of the inadequacies of the ship as we were on it for the efficient transport to sights on the Nile – the itinerary was packed every day including the first one. At lunch we met our guide Sam and discovered that we would be eating and touring with 3 other people from the ship. 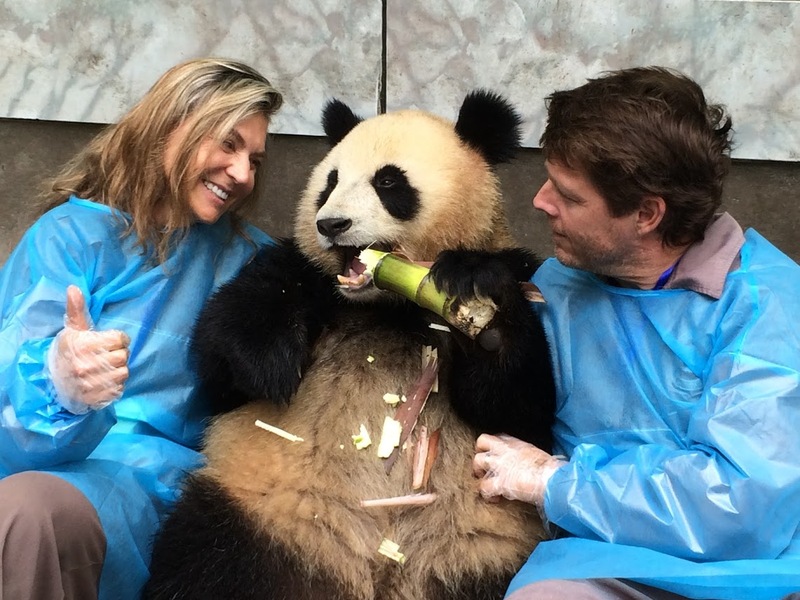 At first we were quite disheartened as group travel with strangers is not something that we ever choose. Boy were we wrong – Marcello, Jessi and Joy were the reason that this part of the trip was such a success – we immediately became friends and looked forward to the outings together. Our first stop was Karnak Temple which dates back to 2055 BC and is one of the most impressive temples we had visited in Egypt. It is the largest religious building ever made, covering about 200 acres, and was a place of pilgrimage for nearly 2,000 years. 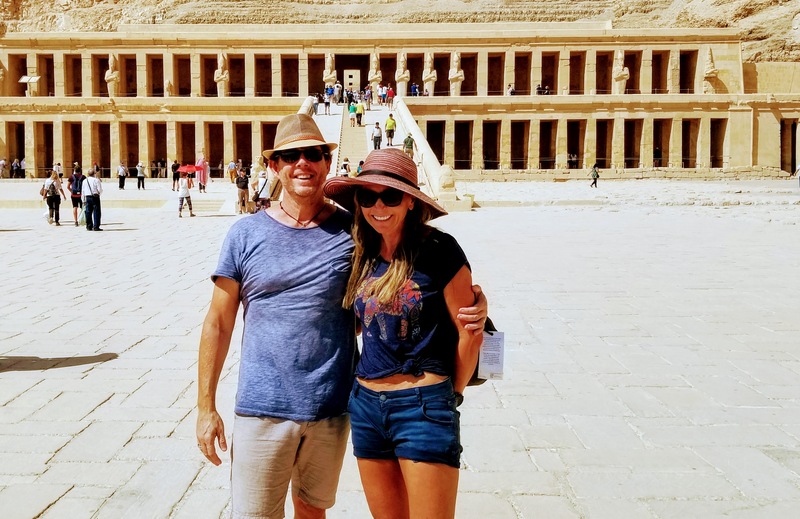 The sheer size of the columns, the magnificence of the giant hieroglyphic writing – some still with color and the Sphinx’s make this place awe inspiring. As the sun was starting to set we were driven to the Luxor Temple situated just east of the Nile river and our ship. The temple has been used as a place of worship since 1392 BC right up to the present day. During the Christian era, the temple’s hypostyle hall was converted into a Christian church, and the remains of another Coptic church can be seen to the west. Then for thousands of years, the temple was buried beneath the streets and houses of Luxor. Eventually the mosque of Sufi Shaykh Yusuf Abu al-Hajjaj was built over it. This mosque was carefully preserved when the temple was uncovered and forms an integral part of the site today – there was a wedding there on the day that we visited. Sunset is a great time to see this temple – the Sound and Light Show is featured here during most evenings. The following day we woke early for breakfast and were driven for an hour and a half to the Valley of the Kings. When we finally got there and felt the sweltering heat we understood why we had to get up that early! During Egypt’s New Kingdom (1539-1075 B.C. 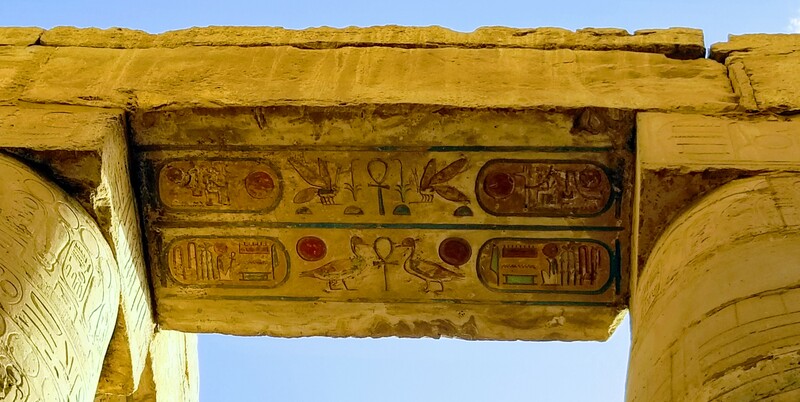 ), the valley became a royal burial ground for pharaohs such as Tutankhamun, Seti I, and Ramses II, as well as queens, high priests, and other elites of the 18th, 19th, and 20th dynasties. 64 tombs have been found to date and many archaeologists believe that there may be others. Visitors are only allowed into a few of the tombs with Tutankhamun’s being the only one that contains his mummified remains. I don’t know if the extra fee to visit it was truly worth it – but I guess we would have felt that we missed something if we had not done it. We took a small boat across the Nile and returned to the ship within a few minutes (glad we didn’t have to make the 1.5 hour trek back by car). We sailed south up the Nile (the Nile flows south to north). In the morning we woke up in Edfu to visit it’s temple. Rob stayed on the boat as the city is filled with horse drawn carriages and he is deathly allergic to hay and therefore most horses. Edfu was a settlement and cemetery site from around 3000 BC onward. It was the ‘home’ and cult center of the falcon god Horus of Behdet (the ancient name for Edfu), although the Temple of Horus as it exists today is Ptolemaic. The Ptolemaic temple, built between 237 and 57 BC, is one of the best-preserved ancient monuments in Egypt. Preserved by desert sand, which filled the place after the pagan cult was banned, the temple is dedicated to Horus, the avenging son of Isis and Osiris. The Kom Ombo Temple was our next stop. 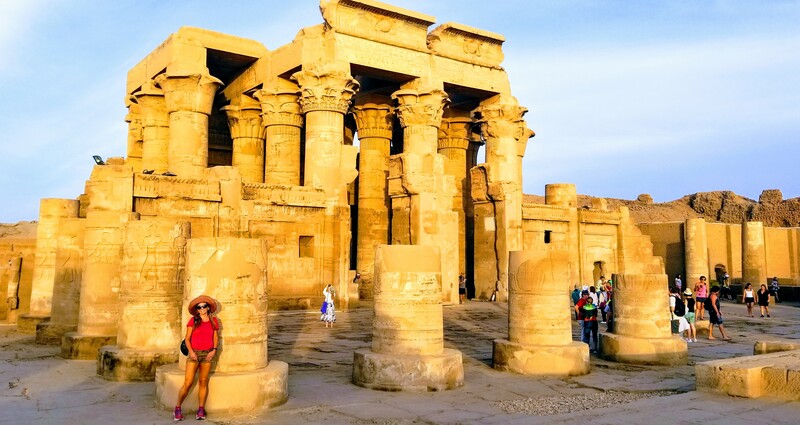 Set dramatically on the bank of the Nile, the soaring, chunky columns of the Great Temple of Kom Ombo are a magnificent sight as you arrive from the river. Dedicated to the gods Sobek and Haroeris, the temple’s finely carved reliefs give a sense of this area’s prominence as a capital over the surrounding region during the Ptolemaic era. Our final destination by ship was Aswan. We arrived as the sun was setting and were rewarded with the beautiful sight of the illuminated Tombs of Aswan. Philae is an island located on the reservoir of the Aswan low dam. 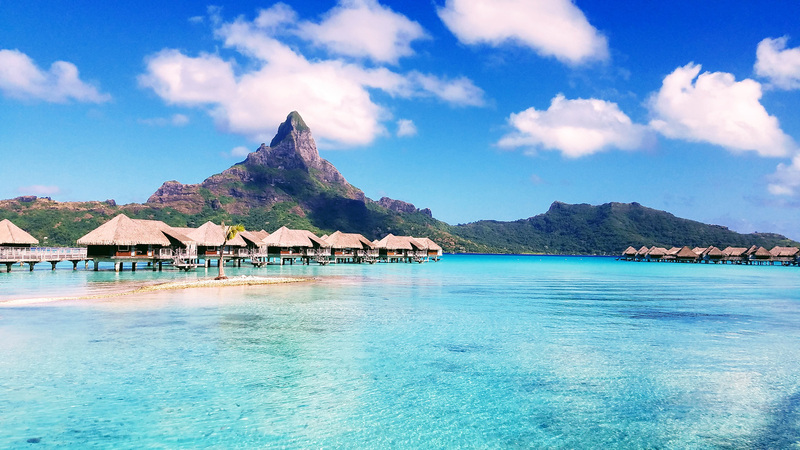 We arrived to it by boat and were amazed by it’s beauty – hard to beat a temple on an island! The Philae Temple was built to honor the goddess Isis and was the last temple built in the classical Egyptian style. Construction began around 690 BC, and it was one of the last outposts where the goddess was worshiped. The cult of Isis continued here until at least AD 550. In its prime, it was considered to be one of the most sacred of all temples, by both the Egyptians and the Nubians. 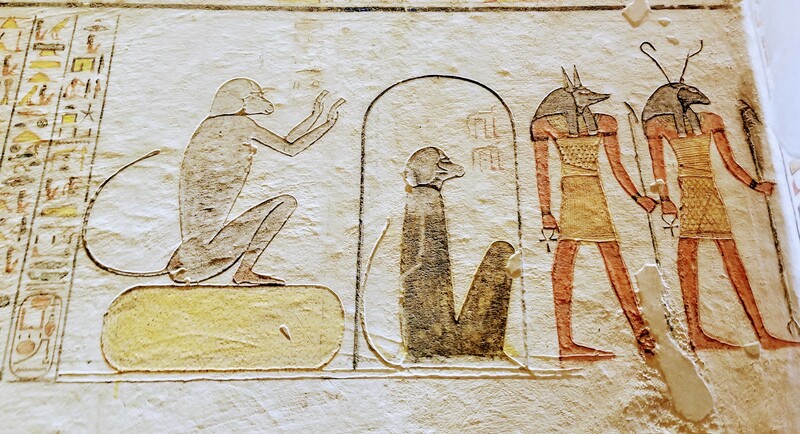 This was essentially because they believed that Osiris (husband of Isis) had in fact been buried on the island where the temple stood. Nobody other than priests were permitted to dwell there, and legend has it that no birds flew overhead, and that even fish and other aquatic animals never approached the shores of the island. After a visit to the High Dam of Aswan and a felucca sail down the river our cruise was over. In retrospect if it wasn’t for our group of new friends I would not recommend a cruise on the Nile. All of the sights could have been easily managed from the train with stays in much better and cheaper accommodations. The environmental impact of these 200 ships travelling up and down the Nile is causing the government to take some positive steps towards better regulations…but still I feel very guilty. The train would have been a better choice.